Interested in licensing the music of Lisa Hannigan? 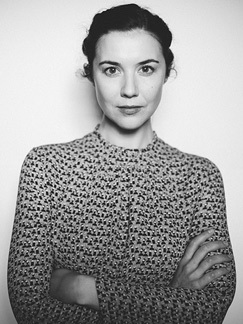 Irish singer-songwriter Lisa Hannigan first came to light singing harmonies alongside Damien Rice. She contributed significantly to Rice’s platinum-selling debut ‘O’ and critically lauded follow up ‘9’, and has since been stretching her musical expertise in many directions: collaborating with artists as diverse as Ray LaMontagne, Richard Hawley, Herbie Hancock and Glen Hansard. Her haunting voice featured on soundtracks for the TV series ‘Fargo’ and the Oscar-winning score for ‘Gravity’, all the while founding and co-hosting the acclaimed ‘Soundings’ podcast (which saw Lisa interview guests such as Harry Shearer, Sharon Horgan and David Arnold). Hannigan’s critically acclaimed latest album ‘At Swim’ is her third, and arguably most bewitching, record. Produced by Aaron Dessner (The National), ‘At Swim’ follows the double-platinum, Choice Music Prize and Mercury-nominated debut ‘Sea Sew’, and 2011’s ‘Passenger’ (which charted at number 1 in Ireland, and earned Lisa another Choice Music Prize nomination). Lisa sold out an extensive UK and European tour in 2016 and has sold out tours in the UK and US in 2017.